On December 8, 2012, the "Special Symposium on National Spectroscopic Instruments and Analysis and Monitoring" organized by Beijing Rayleigh was jointly organized by the Professional Instrumental Committee of the Analytical Instrument Branch of the China Instrument and Instrument Society and the Physical Optics Instrumental Committee of the Optical Instrument Branch. It will be held at Beijing Rayleigh Analytical Instrument Co., Ltd. The National Symposium on Spectroscopic Instruments and Analytical Monitoring is an expert engaged in the research, production and application of spectroscopic instruments on various fronts across the country under the direct leadership of the Institute of Instrumental Analysis of the China Instrument Society and the Institute of Spectrometry of the China Instrument Society. Sponsored and supported, it has been held for 19 consecutive years. 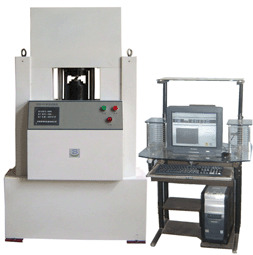 By the Institute of Analytical Instrumentation Spectrometry Instrument Professional Committee director of the unit Shanghai Institute of Electrical and Optical Instrument Institute of Physical Optics Instrument Professional Committee director unit Beijing Rayleigh Analytical Instrument Co., Ltd. rotate hosting each year. The meeting was presided over by Chief Engineer Zeng Wei of Beijing Rayleigh Analytical Instrument Co., Ltd., Liu Changkuan, Secretary-General of the Analytical Instruments Branch of the China Instrument and Control Society, and Sun Lanhai, General Manager of Beijing Rayleigh Analytical Instrument Co., Ltd. respectively delivered opening remarks. The conference first conducted a theme report. Li Changhou, a researcher and professor at the Shanghai Bioengineering Research Center of the Chinese Academy of Sciences, and Zhao Youquan, a professor at the Institute of Precision Instrument and Optoelectronics Engineering of Tianjin University, respectively, conducted research on the status quo and development trend of the current domestic and international analytical instrument development and water quality analysis technology based on spectroscopy. Introduced. Li Changhou first briefly introduced the development status of the foreign scientific instrument industry from the aspects of the scale of the scientific instrument industry in the United States, Europe and Japan, and the importance attached to the development of the scientific instrument industry in developed countries. Regarding the development of the domestic scientific instrument industry, Li Changhou said that the governmentâ€™s emphasis on scientific instruments, the management system of instrument companies, the level of instrument products, and the state of market competition are all changing. After nearly 30 years of development of scientific instruments in China, the total output value, sales value, profit, export delivery value, etc. have all increased substantially, and the scale of the industry has grown rapidly. However, most companies have not been established for a long time and have a small scale. Small and medium-sized enterprises, private and foreign-funded enterprises are the main forces. As for the current development status of domestic analytical instruments, Li Changhou introduced that China has formed its own advantages and features in many conventional and basic analytical instruments. Many instruments are superior to similar instruments of the same class in foreign countries. However, in the competition of high-end scientific instrument products, the domestic analytical instrument industry is still basically in a passive position. However, this situation has begun to change gradually. A few high-end instruments with independent intellectual property rights have been successfully developed and will begin industrialization. However, in terms of market share, domestic instruments are still at a disadvantage due to various reasons. Subsequently, Li Changhou explained that with the development of science and technology, scientific instruments will continue to innovate and develop in terms of micro, micro, rapid, and special applications, and they will interpret in detail the application trends of scientific instruments and the development of scientific instruments. Made several suggestions. Zhao Youquan introduced that the current market demand for water quality analysis instruments has grown rapidly with the attention to water quality safety issues, the need for government emergency management, and national procurement. The types of water quality analysis instruments include laboratory analysis instruments, automatic on-line instruments, portable instruments, special instruments, and supporting reagents and equipment. At present, the development of water quality analysis instruments in China has many problems, such as less new technology, less innovation, low domestic occupancy, and the development of technology to limit bids. In the report, Zhao Youquan introduced the major domestic and foreign suppliers of water quality analysis equipment, drinking water and sewage water quality analysis procedures, water quality analysis instruments and online water quality analysis instrument principles, and compared several analysis methods for COD and nitrate nitrogen detection. In addition, Zhao Youquan also introduced the principle of optical technology in water quality analysis. Its main principles are optical absorption, optical scattering and fluorescence. The design principles and features of the Hanna Mini Water Quality Analyzer and the DR2800 Water Quality Analyzer were introduced. In the end, Zhao Youquan introduced the research results of Tianjin University in water quality analysis instrument research. The input-type multi-parameter water quality analyzer developed by him uses an overall rod structure, an open flow cell automatic cleaning device, a wireless transmission module, an upper computer control software, and optical The system uses a concave grating and an optical ellipsoid. According to the introduction, the instrument has achieved very good results in on-site water quality monitoring. After the report, under the chairmanship of Zeng Wei, chief engineer of Beijing Rayleigh Analytical Instrument Co., Ltd., the participating experts discussed the opportunities, problems, and how to achieve better development of domestic scientific instruments. Warm discussion. Yan Chengde stated that after more than 10 years of appeal, the current state of the countryâ€™s emphasis on scientific instruments has greatly improved, and the establishment of major scientific equipment and equipment special projects has provided great support for scientific instrument R&D funds. But for companies, in addition to technological development and financial support, the establishment of a modern management system is also very important. In addition, information resources are also an aspect that companies should pay attention to. The breadth and depth of information collection and use need to be improved. In fact, over the past decade or so, the country has been investing despite the fact that there has not been such a large investment. During the â€œEleventh Five-Year Planâ€ period, the Academy of Sciences and the Foundation also set up a number of instrument R&D projects. Companies can study what these projects are worth learning from and learning from in terms of R&D ideas and technologies. The newly established special project management for major scientific instrument and equipment development is also open. The ideas, ideas, and goal orientation of each project for project management can also be referenced and studied. Yan Chengde also pointed out that in the face of a globalized market, our current openness is still not enough. How to use the global market resources is also worth exploring. We need to explore what kind of management mechanism and development model is better suited to shorten the gap as soon as possible in the current stage of development. In response to the problem of unfair bidding in procurement of equipment, Yan Chengde proposed that the China Instrument and Metering Association and the China Instrument and Meter Industry Association could find several key enterprises to investigate in depth, and made domestic instruments that can meet application requirements in terms of product quality and after-sales service. , You can communicate with various ministries and commissions to let them understand the situation of domestic instruments. In addition, there are also improvements in the tendering procedures and management methods. (3) For the national investment, the research of the instrument needs continuous investment. In addition, the state does not necessarily need to exceed the international level in the project. In addition, Deng Bo also said that each company has its own characteristics and advantages, companies in the project to play their own strengths, the formation of their own characteristics of products and services in the Chinese market. In addition, foreign companies now emphasize the overall solution, but China's application link is still relatively weak, which is a place that needs improvement. Regarding the issue of bidding, Deng Bo believes that the key is not the bid evaluation, but the person who writes the bid. Now in many bidding processes, the procurement unit blindly raises the indicator requirements instead of meeting the actual needs. This concept needs to be changed. Yang Xiaotao pointed out that the company's innovation can not only focus on products, but should pay attention to the development of basic research and peripheral technology, and innovation should be combined with market needs to develop instruments. For the establishment of a research institute in the enterprise, Yang Xiaotao stated that due to the market characteristics of the instrument industry, it is difficult to have enough funds to support the development of the Institute. Funding needs of such research institutes in Germany are generally half of the investment by the government and half are provided by local governments. The model may be worthy of our reference. In addition, researchers need to devote their efforts to produce results. The next conference will be sponsored by Shanghai Instrument and Technology Co., Ltd. After the discussion, Shanghai Yidian Science Instrument Li Zheng introduced the arrangements for the next conference to the participants and welcomed experts and scholars to visit. As a member of the Professional Committee of the Analytical Instruments Branch Spectrometers of the China Instrument and Instrument Society and the Deputy Director of the Physical Optics Instrumental Committee of the Optical Instrumentation Branch, Associate Professor Fan Shifu of Tianjin University made a concluding speech. He first stated that for more than two decades, Beijing Rayleigh Co., Ltd. and Shanghai Instrument Co., Ltd. have provided support and sacrifices for the successful holding of the National Symposium on Spectroscopic Instruments and Analysis and Monitoring. They hope the two companies can continue. Efforts to make this meeting better. Regarding how the conference should be carried out in the future, Fan Shifu pointed out that it should be considered from the aspects of â€œinnovative thinking, talent cultivation, and facing the worldâ€. The first is to change the innovative thinking and to truly solve the actual needs of China's innovation as the goal; In addition, we must cultivate talented people with independent ideas, not blindly superstitious teachers and foreign technology, but also cultivate talent from practice; finally, we must solve The actual problems in China must also be oriented toward the international market. In the process of moving toward the international market, we must also transform our transition from a manufacturing power to a big innovation power based on the targeted products of different users. Fan Shifu said that in future meetings, some of these three issues should be explored.